High risk. High reward. There is nothing quite like investing yourself into the life of another person. Our kids are just waiting for you to be the inspiration in their lives! Mentors win by showing up! Mentorship is a personal development relationship in which a more experienced or more knowledgeable person helps to guide a less experienced or less knowledgeable person. 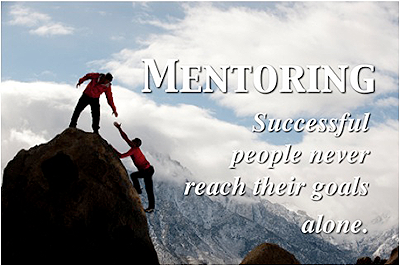 However, true mentoring is more than just answering occasional questions or providing ad hoc help. It is about an ongoing relationship of learning, dialogue, and challenge. We are happy to speak to you about getting involved with our kids, but first please take a moment to thoughtfully process your level of commitment and then choose an area most suitable for you to help with.Many people have already failed our kids and we refuse to add to that number. Thank you.